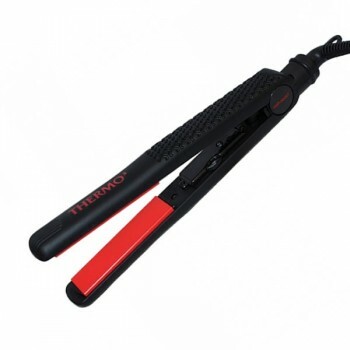 Hair Tools Thermo Ceramic Hair Straighteners are an incredibly versatile tool for styling all types of hair! These extremely popular ceramic straighteners are the professionals choice as they are renowned for their high quality and low price. The brand new, ceramic plates use infrared technology to lock in essential oils, thus providing incredible capacity for straightening all types of hair. The Hair Tools Thermo Straighteners also feature a variable temperature control, making them ideal for different hair types. · The straighteners ceramic plates heat up to 190°c. · Heat up to maximum temperature in under 7 seconds. · Four temperature settings for ultra fine to afro hair. · Micro Processor for ultimate heat dispersion and conduction.